After being collected from your local pick up point (5.45/6.45am approx.) we board the Eurotunnel and arrive in France early afternoon. We continue through France & Belgium in to Luxembourg, arriving early evening. After a long journey relax in the comfort of the hotel. Free day today to enjoy our lovely host town. 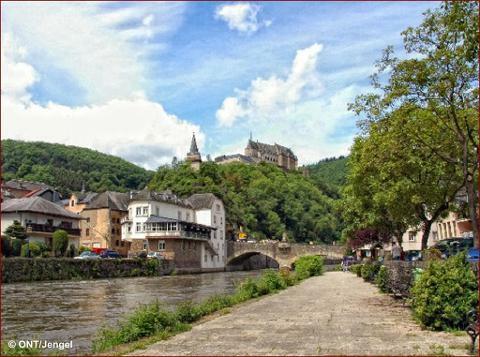 Vianden is one of the most picturesque towns in the country, so explore the medieval streets and head for the fairytale castle by chair lift for spectacular scenery. Find somewhere nice for lunch and enjoy relaxing in the hotel. Great excursion today as we head to one of our most popular European destinations. Trier - Germany’s oldest city, a beautiful town on the banks of the Moselle River has a number of UNESCO World Heritage sites to enjoy. We shall be joined by a guide for a 1 hour walking tour to see some of the best city sights including the famous Porta Nigra, one of the finest preserved Roman city gates in Europe, the Main Market, the Cathedral and the Church of Our Lady, the Roman Imperial Throne Room and Electoral Palace. Followed by free time to enjoy. 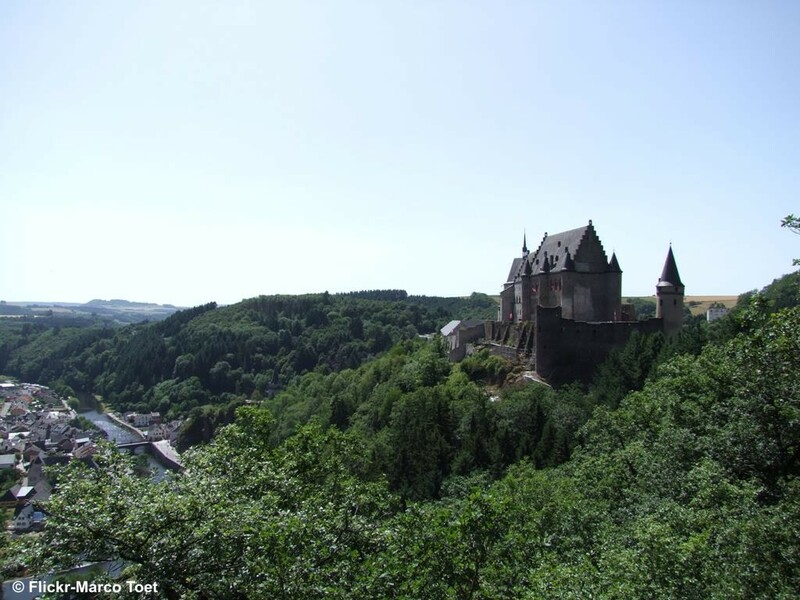 On our return to Vianden enjoy the lovely scenery and we also have a brief stop in the picturesque town of Echternach. Another highlight today as we head to Luxembourg City. Stopping near the historic centre where we are joined by a local guide for a 2 hour walking tour to discover attractions including the Place a’Armes, Corniche, Old Town and Grand Ducal Palace. Free time afterwards to further explore and find somewhere nice for lunch or a drink before returning to the hotel late afternoon. Guided tour included. 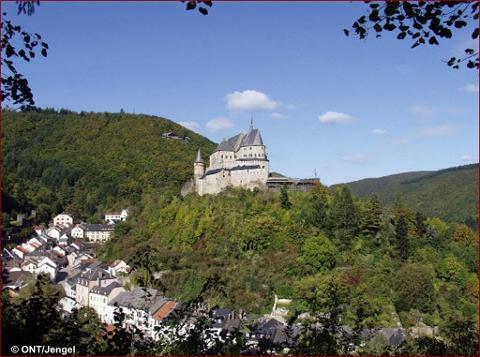 Mid morning we head north for the short journey to the town of Clervaux - lovely to explore with a Castle full of history and the excellent Battle of the Bulge Museum, a magnificent Abbey overlooking the town and historic streets and houses. After an early breakfast we head home. Boarding the mid/late afternoon Eurotunnel with comfort breaks as required. Arriving back in the local area around 7.00/8.00pm. 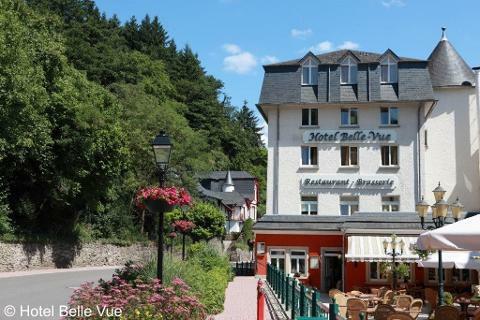 This modern 3 star hotel is well situated within an easy walk of the town centre and enjoys views of the castle from many of the rooms and the terrace. 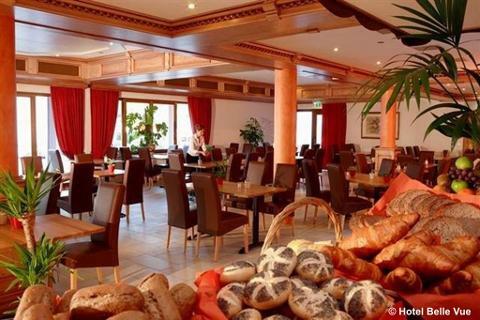 The staff are very friendly and English speaking.The extensive Buffet Breakfast is served in the brightly lit breakfast room and in the evening there is a 3 course evening meal. The menu is set - but if you wish to have something different the chef will offer an alternative. No problem! Don’t be shy! 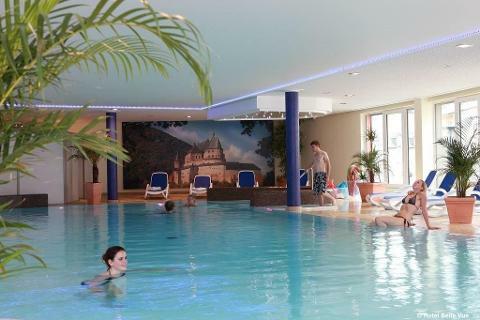 Facilities in the hotel include a heated indoor swimming pool, a welcoming bar and a large sun terrace where you can enjoy a drink, unwind and discuss the day. The comfortable bedrooms all have en-suite bathroom with shower or bath, Flat screen TV and Free Wi-Fi.